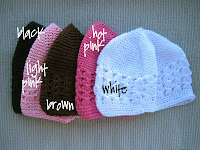 Beanies are a great way to keep your little one warm, without sacrificing style! 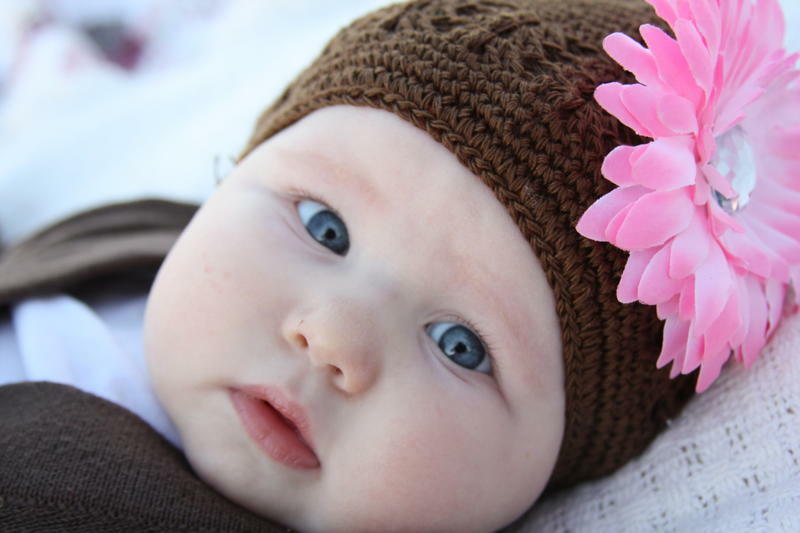 Beanies are adorable for photo shoots, especially for those precious sleeping newborn photos. Daisies and petite bloom clips can be clipped into the weaves of the hats, or beanies can be ordered with a velcro square for easy interchanging with my velcro flowers. 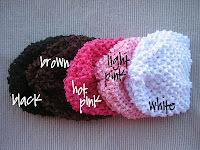 Beanies also look great worn just plain, and I stock only the perfect shades! note: due to popularity, certain colors might not be currently available, but check back soon, as I am constantly re-stocking. thanks!